Shugden - possibly burried alive during the 1600s, burnt in offering while exuding a burnt flesh odor, his tomb broken into by Trijang, who reported lack of any decay but a fragrant smell of morality. Ever since, his body has been missing. July 7, 2010, it was announced that Shugden reincarnated and is now living, though he remains in hiding. 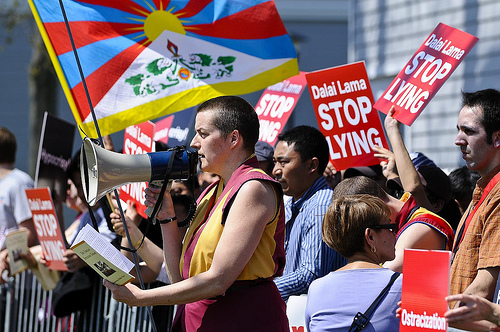 For this troubled figure, Kelsang Gyatso created his religious tradition in 1990, NKT, appropriating while castigating the wonders and credibility of Tibetan Buddhism. NKT does what it can to differentiate itself from mainstream Buddhism through NKT's protest rallies, caustic Internet campaigns, lawsuit threats, trashing NKT survivors, trivial monastic vows, scandels and ban of Tibetan Lamas or any other representatives of Buddhism to speak inside NKT or have their books and historical Buddhist scriptures permitted inside NKT. "... inside was the entire body with no decay and it had grown quite a bit of hair! ... The fragrant scent of pure morality spread throughout a large area..."
Amazingly, the body persevered for hundreds of years but has been lost for decades after it was broken into by Trijang. A few decades ago, Shugden reincarnated but is in hiding. Does he know where is previous body is? 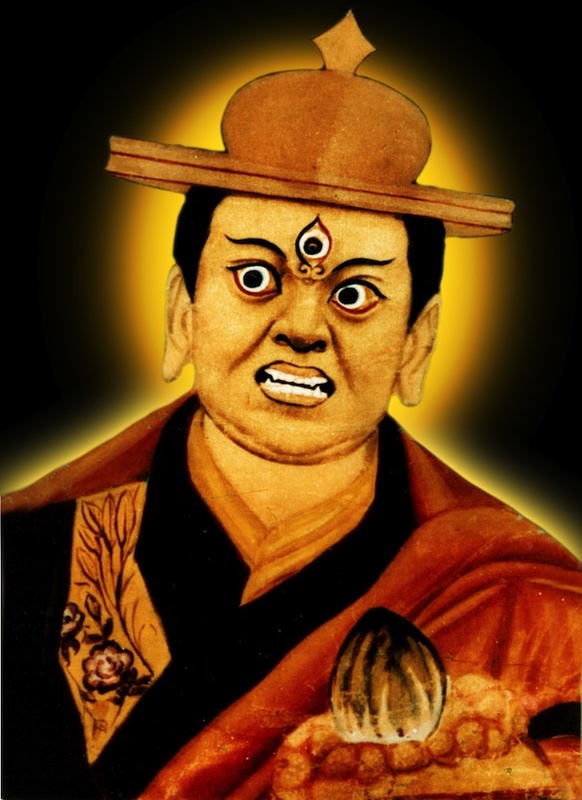 Few if any Shugdenites have seen the reincarnated Shugden. I also don't want the people of Chatreng, who have great expectations of me, to be disheartened. But if I continue to propitiate the Protector publicly, I would be compelled to become a sort of head of his worshippers, and this would be an offence to the Dalai Lama from whom I received my Bhikshu ordination, and has always treated me with extraordinary benevolence. I cannot even hope to keep a low profile as they [the Shugdenpas] would not let me. It is very clear my life might be in danger. So I have decided to leave my Labrang and disrobe, so that none of the Shugden worshippers can ask me to be their leader. I hope that this way I can respect the wishes of the Dalai Lama and still revere the protector, practicing in private and far from everyone. I intend to follow a middle way, neither for nor against Shugden. I appeal to both parties not to contact me." In my own Labrang I have recently witnessed a kind of factionalism and I have discovered that one person in particular was planning an evil conspiracy. This plan was to murder my assistant, Tharchin, and to implicate His Holiness's government in exile with this odious crime. The conspirator aimed to become chakzoe [manager] of my estate. Tharchin has been very kind to me, more so than my own parents, and has taken care of me since I was three years old. As well as managing the affairs of my Labrang. These are not lies, but true facts which I want everyone to know. That is why I made this statement." Trijang Chocktrul Rinpoche concluded his message urging Shugden followers to stop seeking him, "I do not wish to be in touch with you." There is an interesting 1996 article by Dr. Gareth Sparham, who teaches Tibetan and Sanskrit languages at the University of Michigan, entitled 'Why the Dalai Lama Rejects Shugden'. Dr. Sparham is a prolific author (click here for his books at Amazon.com). "It seems to me that it is only possible to understand the present controversy about Shugden, inside and outside Tibet, in political terms. Although originally, no doubt, in the old world of Tibet primarily a religious figure, Shugden is today a political symbol representing for Tibetans the aspirations of an emerging political party which looks back to a golden age when the rule of Tibet was invested in the Gaden Phodrang." "...in October 1998 we decided to completely stop being involved in this Shugden issue because we realised that in reality this is a Tibetan political problem and not the problem of Buddhism in general or the NKT. We made our decision public at this time – everyone knows the NKT and myself completely stopped being involved in this Shugden issue at all levels. However, my letter upset many Tibetan people and many Western practitioners who regard HH as their root Guru. I would like to apologize sincerely to all of them." "The fact that the founding narrative of the Shuk-den practice is largely mythological does not mean that we should dismiss it. Rather we should inquire into its meaning. This is what I will do in the later pages of this essay, where I examine the story of the violent manifestation of Trul-ku Drak-ba Gyel-tsen as the founding myth of the tradition of those who propitiate Shuk-den. When asked to explain the origin of the practice of Dor-je Shuk-den, his followers point to a rather obscure and bloody episode of Tibetan history, the premature death of Trul-ku Drak-ba Gyel-tsen (sprul sku grags pa rgyal mtshan, 1618-1655).Drak-ba Gyel-tsen was an important Ge-luk lama who was a rival of the Fifth Dalai Lama (1617-1682). What seems to be well established is that in these circumstances, in 1655, Drak-ba Gyel-tsen suddenly died. The exact conditions of his death are controversial and shrouded in legends. It is in these circumstances that the story of his wrathful reincarnation must have appeared, not as a vindication of Drak-ba Gyel-tsen, but as an attempt by the Fifth Dalai Lama and his followers to explain the absence of Drak-ba Gyel-tsen's reincarnation and to shift the blame for the bad omen that had followed his death. These events were not the karmic effects of his violent death but the results of his transformation into a dangerous spirit. The Fifth Dalai Lama mentions that after Drak-ba Gyel-tsen's demise his spirit started to harm people. In order to pacify him, the Fifth had a small temple built near the pond of Dol, but this did not help and the reports of harm continued unabated. With the help of several important lamas such as Ter-dag Ling-pa (1646-1714), the Fifth decided to launch a final ritual assault and to burn the spirit during a fire ritual in which the spectators were said to have smelled the odor of burnt flesh." Interesting, Shukden's burnt flesh could be smelled but to Trijang but after Trijang claims breaking into Shugden's tomb, Trijang claims that Shugden's body showed no signs of decay centuries later. "You have therefore instructed me to give you an answer. I have propitiated Shugden until now because my old mother told me that Shugden is the deity of my maternal lineage. I wish to inform you that henceforth, with intense regret (for what is past) and (with the intention of) restraining my faults (in the future), I will never again propitiate (Shugden) or make daily offerings and supporting prayers and that I will wholeheartedly keep this commitment in the core of my heart. Whatever mistakes I have committed until now, such as having become a cause for the mental displeasure of the Great Nechung Choegyal, contradicting the precepts of taking refuge and so forth, I request you, the supreme protector, who is especially compassionate to the lowly, to regard me with love and great compassion and patiently to forgive me." For NKT, Shugden is politics, not religion.